We are a friendly, casual, fun group of tango dancers who love to learn, experiment and dance to good music. You’ll dance to a mixture of alternative tango, nuevo tango, and golden age traditional tango music and make sure to make it to our live music events hosted multiple times a year. 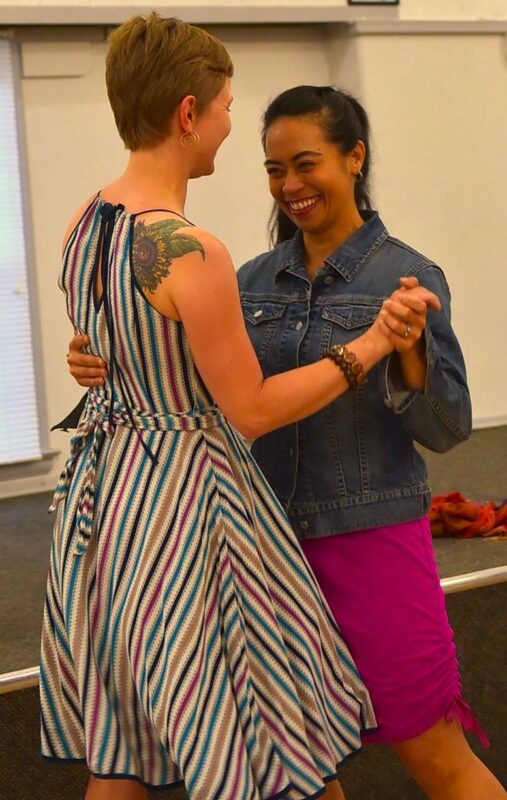 Beginners can get their start in tango at our drop-in Beginner Series Class and experienced dancers can learn something new at our intermediate lesson. No partner necessary! Hosted in the beautiful Veteran’s Memorial Building Ballroom, our large dance floor and unique set up allows for dancing in the center of the room and practicing and experimenting on the outside ring. Bailonga’s community includes a wide range of skill levels, ages, genders, and backgrounds and dancers are encouraged to lead and follow interchangeably. Bailonga prioritizes the ability to play and enjoy yourself above all things. 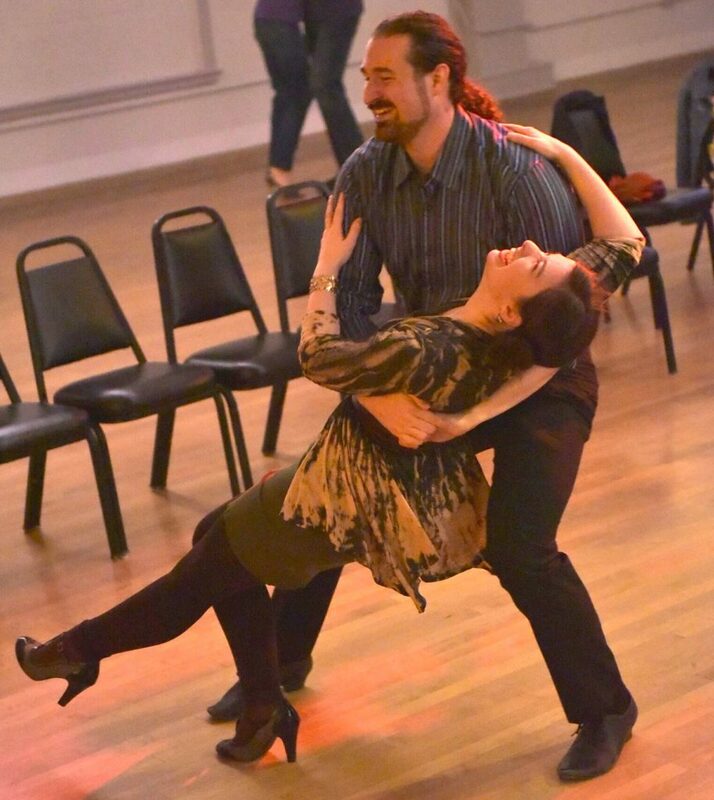 Experimenting, silliness and non-standard tango dancing are encouraged! Bailonga values music that is high quality and always danceable and we are the most frequent host of live music among tango events in Eugene.